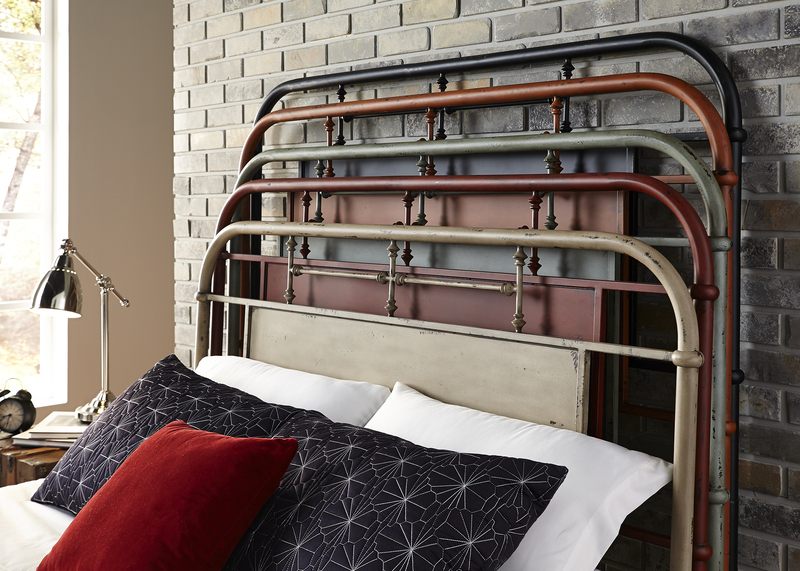 Classic Vintage styling with an industrial feel. Colors that can mix and match offer a unique designer look. Urban living is defined as surrounding oneself in a modern environment, refurbished building or studio/loft. A natural feeling created by the living space as well as the furnishings that attribute to it. The essence of the urban living furniture is its unique ability to fit many different styles-Rustic, casual, contemporary-A mixture of materials with distressed finishes and textured fabrics. Great looking stylish bed at an amazing price!! Also, now available in Blue.